Henley Royal Regatta is a five day rowing event held annually on the River Thames by the town of Henley. It was established in 1839 and so pre-dates any official rowing organisation and so it has its own rules. The races are head-to-head knock out competitions, and the course distances raced are 1 mile, 550 yards (2,112m). 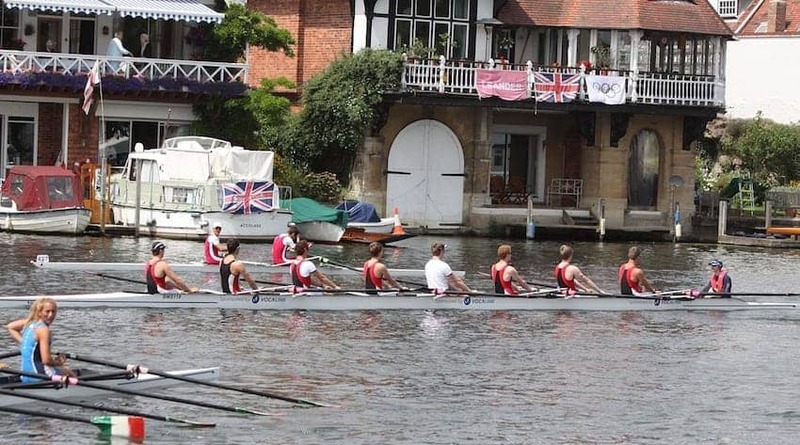 The most prestigious event at the regatta is the Grand Challenge Cup for Men's Eights. The regatta is part of the English social season and there are strict dress codes for guests in the more exclusive enclosures. The public can view from the towpath and from moored boats.